In Murrieta, about 1.5 hours south of Los Angeles, city officials are grappling with whether to extend its year-long moratorium on medical marijuana dispensaries in the city, as the law is about to expire next month. Los Angeles marijuana lawyers understand that the city has actually never allowed dispensaries to operate there, per a ban it enacted years ago. Now, why would a municipality need a moratorium when it already has a ban? This case perfectly illustrates the legal confusion surrounding the issue of legalized medical marijuana in California. The issue here is whether the city is legally allowed to enact a ban. Recent case law suggests it can not. In general, these cases are being decided on a dispensary-by-dispensary case. For example, Riverside County has been going around in circles on the issue. You had a County Superior Court judge in May who ruled that if storefronts are operating in compliance of the state’s medical marijuana laws (as defined by Proposition 215 and the Medical Marijuana Program), then the dispensaries couldn’t be closed by simply declaring a public nuisance. And then a judge denied the county’s request to shut down 16 storefronts within county jurisdiction, saying it was unconstitutional. But then, an appellate court judge ruled that the county could shut down two of those dispensaries. In San Bernadino County, a judge upheld the city of Colton’s dispensary ban, and even found one operator in contempt of court for remaining open despite orders to close. Then in Los Angeles County, you had the blanket ban on dispensaries enacted back in December, but which was successfully removed on appeal in the Second District Court of Appeals, which determined the ban was preempted by state law in contrast with the intention of the legislature. 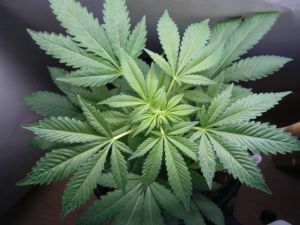 Then in the City of Los Angeles, you had the city council’s so-called “soft ban,” which essentially would have shut down store front operations, though it would have continued to permit patients and caregivers in groups of three to continue to grow the crops. That ban was put on hold before it was ever enacted, following the collection of enough signatures for a March ballot referendum effort to repeal it. The list of similar cases goes on and on. So it’s no surprise that Murrieta isn’t resting on the merits of its ban alone. The moratorium, officials have stated, is a way for them to ensure no dispensaries open in city limits. Of course, it hasn’t worked entirely, and there were two dispensary operators who initially challenged it in court. However, both of those locations have now shut down. What it will ultimately come down to for cities like Murrieta is how the California Supreme Court decides. City officials have said they are waiting to see how the courts rule. If it turns out they will have to allow dispensaries, as we believe they will, at that point they will begin to draft regulations on how that will be carried out in their city.